Having hit jackpot by selling his game character, poor Harn Lee journeys through the mmo - Royal Road to make more and more money. Wanted! 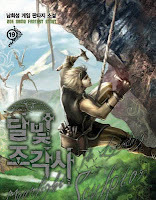 Korean Translators for translating this novel. Follow the recruitment page to apply! You will find EH v2c2 in our novel site. Thank you for sharing! Hope you have a great day! "I need a dress in silk black"
But french is translated non-direct, so that's different. Just started reading Moonlight Sculptor, it's wonderful, thanks for picking it up! Wow! Moonlight Sculptor is really addicting! I love it!